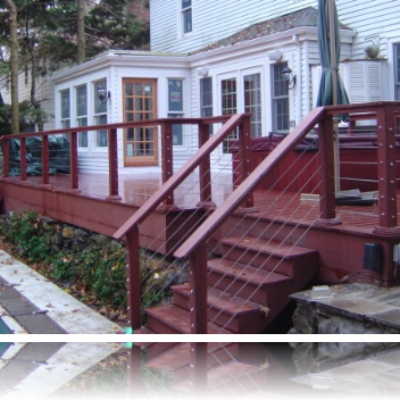 Designing, repairing and building decks for over 30 years. 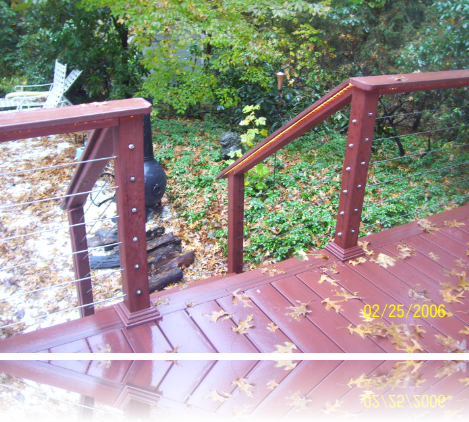 Durable construction is our responsibility. 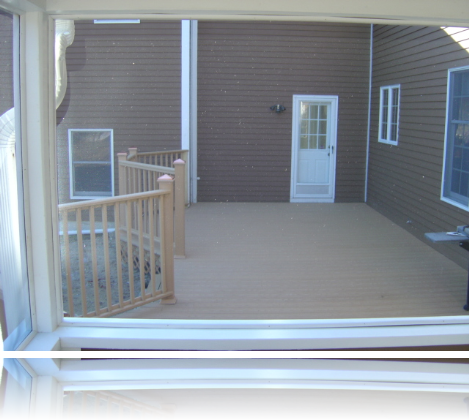 Enjoying your new deck is yours. 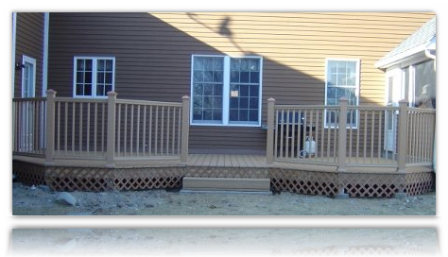 Our construction company is comprised from licensed & registered deck builders, Master Carpenters & innovations experts. 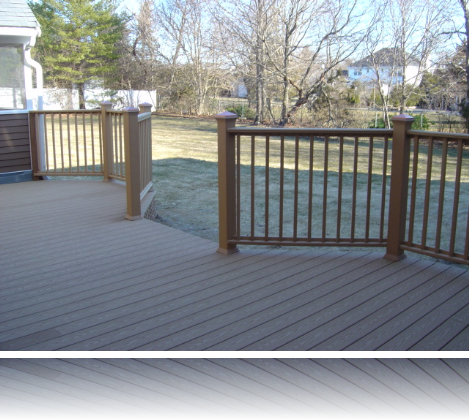 Our experts hand pick all deck materials in order to make sure you’re 100% satisfied. 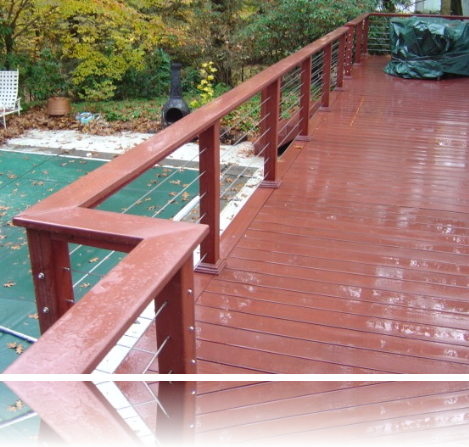 When it comes to building decks we work with all kinds of wood species, metal, glass and composite materials. 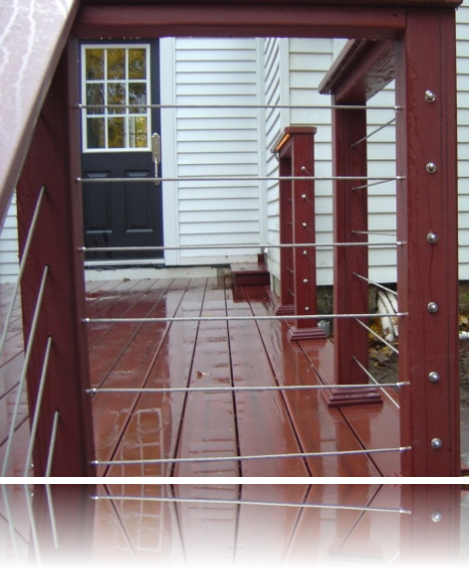 We specialize on deck hidden fasteners techniques, and modern deck innovations. 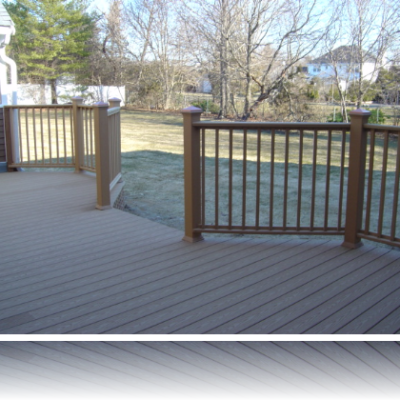 To schedule an appointment for your free accurate deck estimate, and to find out how much money we can save you on your deck project, please contact us. Are you an individual with creative ideas? 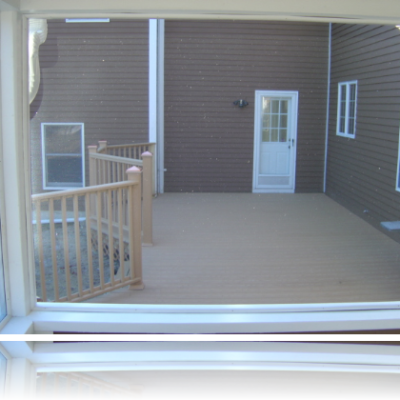 Very often we come across customers with creative deck ideas or higher deck design demands. 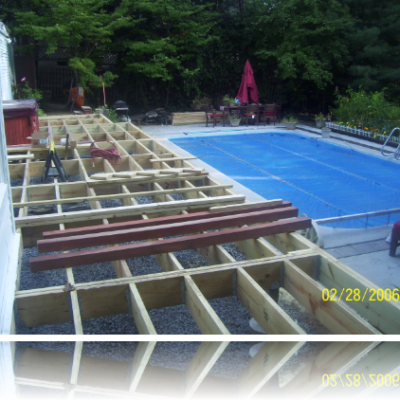 Such ideas require high skills, tons of experience, innovating technology and full awareness of the building codes. 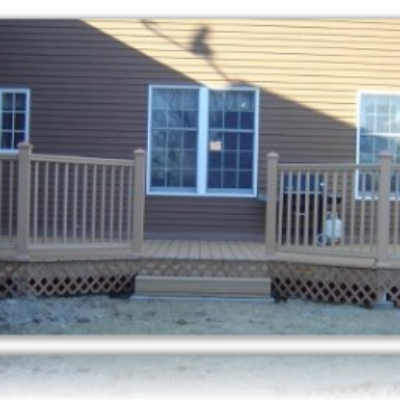 On this deck project (pictures below), our expertise was tested to the max. 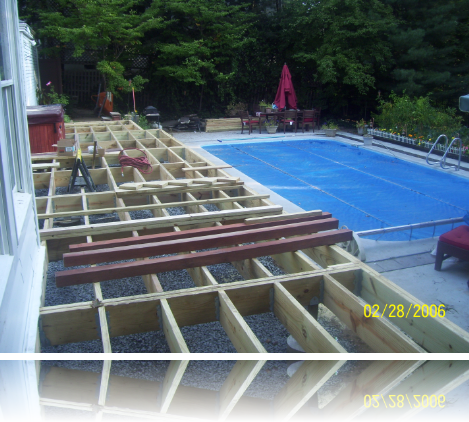 Bill & Natasha wanted to somehow tie their new deck with their pool and be able to use their hot tub most of the season. The idea was to create a deception. Almost like being on a ship’s deck looking over the water. 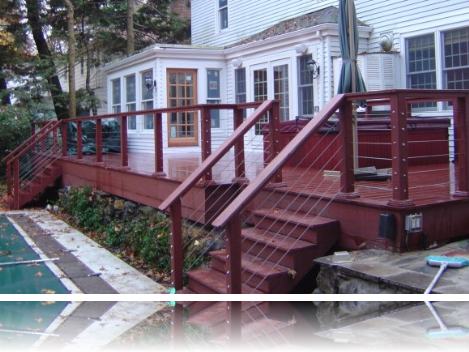 A deck railing system with Stainless Steel Rope and hardware with deck hidden fasteners, under mount Rope deck Lights made this deck all maintenance free and it was exactly what our customers wanted. 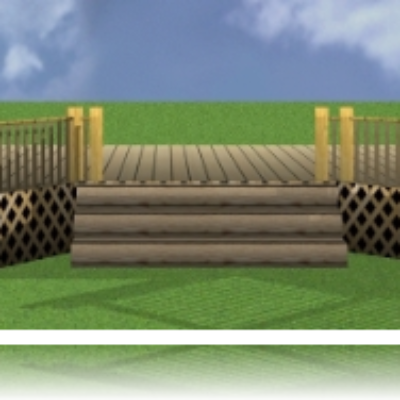 At night time this deck design looks spectacular. 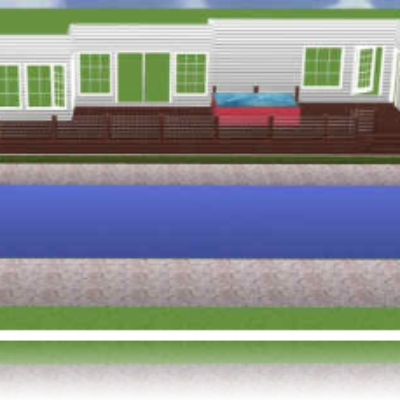 To get more ideas for your own project contact us. 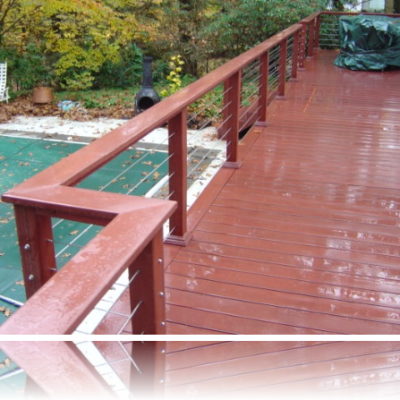 Rotting deck posts are a thing of the past. 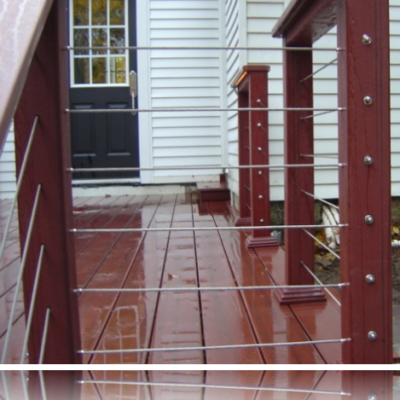 The Post Anchor lifts the post up off the deck surface to prevent the capillary action of the wood grain from sucking up water like a straw which eventually starts the wood decay process. 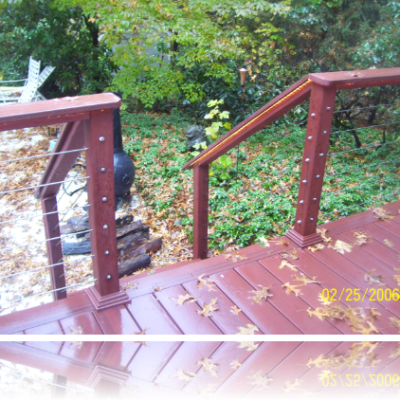 Thanks to our friend Richard Bergman we can eliminate this problem and install these anchors directly under the wood post.